Brake calipers are essential to your vehicle’s ability to stop. They are one of the most important of the vehicle’s brake parts. Most vehicles today have disc brakes, if only at the front wheels, but many have front and rear. In a disc-braking system the vehicle’s wheels are attached to metal discs, which spin along with the wheels. 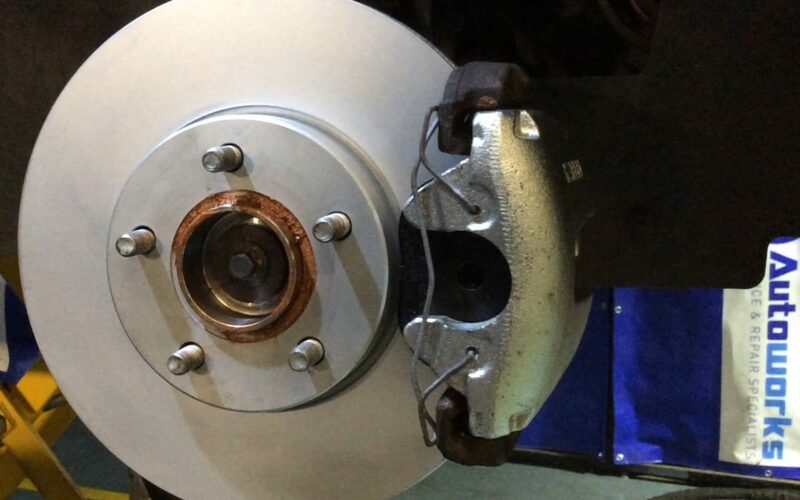 The job of the caliper is to slow the vehicle’s wheels by applying braking pressure to the brake pads, which in turn creates friction with the disc. The brake caliper fits over the disc like a clamp. Inside each caliper is a pair of metal plates bonded with friction material – these are the brake pads. When you step on the brake, brake fluid from the master cylinder creates hydraulic pressure on one or more pistons in the brake caliper, forcing the pads against the disc. A caliper that’s binding and not releasing can cause brake pads to drag, and the vehicle to pull to one side. If when your vehicle’s moving, you hear squealing or other frictional sounds from one of the wheels when brakes are not being applied, it’s quite likely your vehicle has got a seized brake caliper. This will need to be repaired as a matter of urgency, as the brakes are not performing correctly and will build extreme levels of heat.